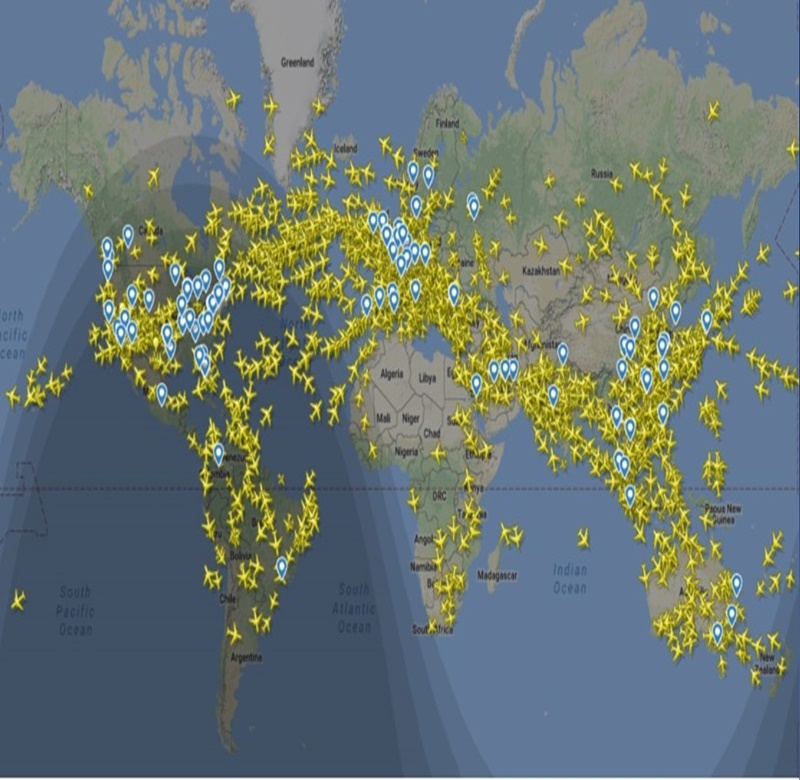 For the first time in history Flightradar24.com recorded more than 200, 000 flights in a Single Day. Flightradar24.com has recorded 202, 157 flights in Single day. Flightradar24 is the website that is developed to track airplanes and flight routes across the World in real time. The Website is able to map out all passenger planes that have transponder (a device for receiving and transmitting signals). Website recorded 202, 157 flights on 29 June, 2018. On June 29, 202, 157 flights recorded, it has become the busiest day of the History, and even the busiest day for the Year so far. The first Time Flightradar24.com tracked more than 200, 00 flights. The flights data is based on UTC (Universal Time Coordinated). Website has also recorded the quietest day on 25th December, only 101, 511 number of flights were tracked. Aviation industry activity is higher in European countries than Russia, Asia and China regions. According to the International Air Transport Association almost 4 billion passengers travel through air every year.